Joost Goverts at Northrop & Johnson in Palma sends me an update on the mini-boat show he and a similarly enterprising group of brokers are organising this month in Mallorca on the afternoons of June 20th and 21st June between 2pm and 6:30pm. 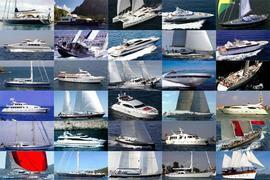 The list of yachts available for inspection has now gone up to 13 motor yachts and 22 sailing yachts. Brokers showing yachts so far include Camper & Nicholsons, Fraser Yachts, Ocean Independence, dahm international, Dolphin Yachts, David East Yachting and, of course, Northrop & Johnson.